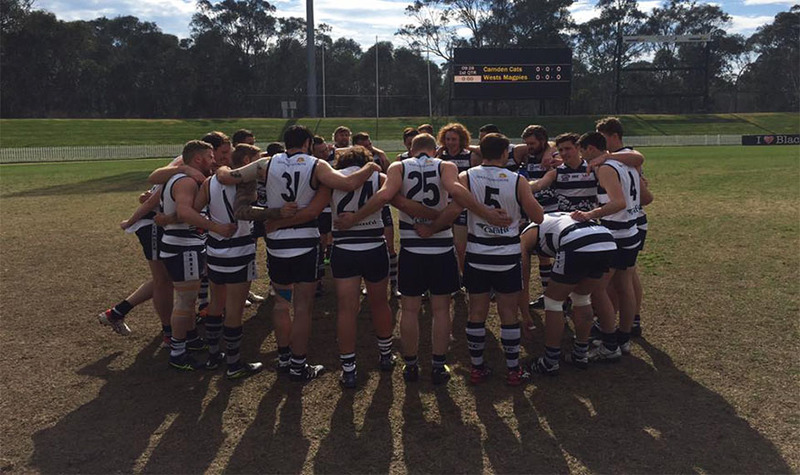 AFL Sydney is delighted to announce that the Camden Cats will be elevated to the Premier Division competition for the 2018 season. Camden first joined AFL Sydney in 2008, having participated in the AFL South Coast competition in the years prior. AFL Sydney Football Operations Manager, Lauren Bunting says the elevation is a result of success both on and off the field in recent years, and is in line with the strategic direction of AFL Sydney. “The Cats have continually improved since joining AFL Sydney nine years ago, making finals last year in their first year in the Division One competition, following a Division Two Premiership in 2016,” Bunting said. Bunting said Camden’s strong position off the field also has them in a good place to enter the Premier Division competition. “Camden have a clear strategic plan and an effective governance model in place to assist with their transition into the Premier Division competition,” she said. The recent Future Directions of AFL Sydney Project identified the need for greater representation from Western Sydney in the Premier Division competition long term. Camden’s population has increased by 16% since 2011, with the population of the Macarthur Region (encompassing Camden/Campbelltown/Wollondilly) predicted to hit 600,000 by 2036. Camden’s home ground, Fairfax Reserve is currently shared with Camden Junior AFC, who are also on the rise, growing its junior boys’ participation by 48% since 2015 with its overall junior participation (boys and girls) increasing by 125% since 2015. Camden President, Joshua Leys said the club is extremely excited about the opportunity to play Premier Division football next year. “We are immensely proud to have achieved this promotion, which we believe recognises our efforts over the last five years in achieving sustained on field and off field success; our contribution to the local community, and the standing of the club in the continued growth of AFL,” Leys said. Leys acknowledged the step up to Premier Division would be a big one, but asserted the club is ready for the new challenge. “Make no mistake we are not going to Premier Division to simply make up the numbers,” he said. Leys said the elevation was important not only for the club but for the greater community. “This is huge news for the greater Macarthur Region and South-West Sydney as we will now bring the highest level of community AFL in the state to our doorstep. Camden’s elevation will take the AFL Sydney Premier Division competition to 10 teams in 2018.